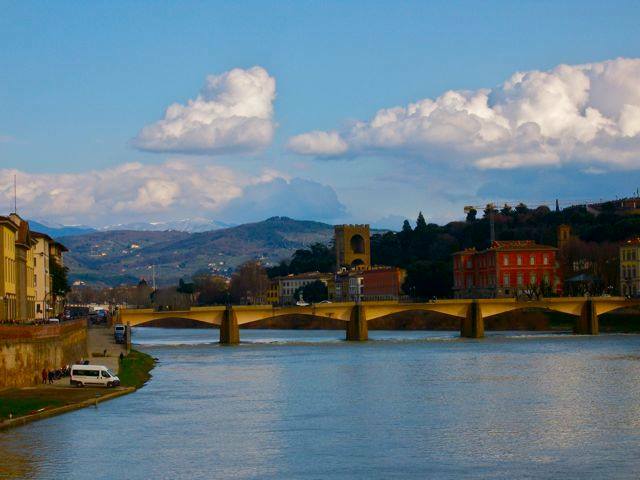 May Day in Florence. The whole city, it seemed, was up early and heading for the countryside. Aunt Martha and Uncle Battista were preparing to join them, the latter grumbling good-naturedly that every other day in Florence seemed to be a public holiday and asking when he was ever going to get that dratted dome finished. Somehow he’d procured a horse and cart and now the carthorse steamed and stamped outside their house in the warm morning air. Aunt Martha and the servant girl Luisa bustled over baskets of food, enough to feed a regiment. Pride of place went to two glistening loaves of ‘meats in aspic’: pieces of chopped pork, rabbit and chicken in a clear jelly that had been clarified with egg whites and given a warm golden colour with saffron. There were trout in aspic, too, flavoured with bay leaves and lavender, and small fruit patties filled with apples, dried figs, raisins and walnuts, sprinkled with sugar. Luca was amused to note that Giovanni Ferrante’s basket, with its blue check cloth, had been pressed into service to carry them. Luca helped Luisa to carry the food down to the cart. The girl’s freshly-washed auburn hair fell to her shoulders and she had fastened a carmine artificial flower into it. He noticed the swell of her breasts under her russet smock and white camicia. Her face and lips appeared brighter than usual and he presumed that they’d been subtly painted; her eyes, outlined in black, seemed larger, too. Luisa gave him one of her slow smiles and as he followed her down the stairs Luca quite forgot to count. As he and Luisa packed the baskets of food in the cart, Luca smelled the girl’s herbal scent, a hint of rosemary if he wasn’t mistaken, and he was just about to speak to her when Aunt Martha bustled through the door, followed by Battista. “Come on Luisa,” she said, walking round to the back of the cart. “Help me up.” When the girl had done so, she held out her hand and pulled her up to sit beside her. Luca took his place on the bench seat at the front and shuffled sideways as Battista eased up his bulk and took the reins. The streets were crowded with other brightly dressed citizens, some on foot, some on horseback, but most, like Luca and his family, in lumbering carts. There was a hubbub of goodwill and a feeling of anticipation of pleasures to come. The tide of people and animals flowed slowly towards the city gate of Porta al Prato and, after a delay because of the constriction, out on to the highway from the city. 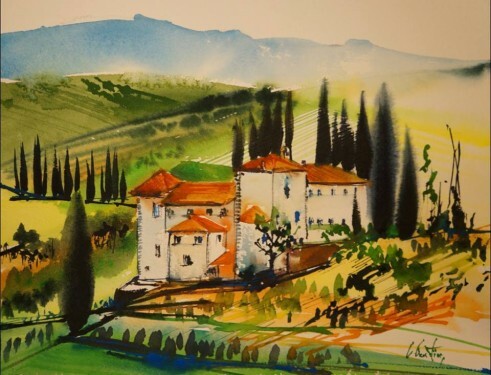 Soon they were in the contado, the countryside surrounding Florence, and, as the sun warmed their backs, they took in the sights of this glorious May morning. The vivid colours of wild flowers, yellows and purples predominant, splashed the fields, multi-shaded in green. Crimson poppies bobbed in the verges and on a hillock clumps of broom were covered with sprays of flowers as bright as a canary’s chest. After a few miles they turned off the highway, down a bumpy track and into a riverside meadow, fringed by pollarded willows. There were many other families there already, friends and neighbours of Battista’s who had arranged to celebrate the day together. In a corner a fire had been lit and a piglet turned on a spit above it. Some women were singing and clapping out a rhythm, accompanied by a man on a flute. While the women laid out the food on linen table cloths, Luca and Battista went for a stroll along the riverbank, mainly spent in companionable silence, watching a family of Mallard ducklings scuttling about in the reeds. There were eight of them and when their mother called, seven tiny chicks rapidly joined the flotilla, but there was an eighth who always seemed to lag behind and had suddenly to scuttle to catch them up, to the accompaniment of his mother’s angry quacks. Soon Luca was tucking into a slice of the meats in aspic and Battista was pouring him a generous measure of red wine. He gradually succumbed to the delights of the food and the drink and to conversation and laughter with friends and neighbours. His eyes also followed Luisa as she moved around offering slices of the roast pork to all the company, and when the time came for dancing after the meal he sought her out and whirled her energetically around the meadow, to the accompaniment of lute, recorder and flute. He had to admit his dancing was not of the best, since he was more intent on counting the steps than listening to the music and the rhythm, but what he lacked in grace he made up for in enthusiasm. And he was stirred by the sight of the young girl before him, in the springtime of her youth, limbs supple, skin soft and eyes sparkling. But Aunt Martha seemingly disapproved of his intimacy with a mere servant, for after their dance she kept Luisa near her and found a dozen tasks for the girl to do. So Luca sought out the shade of a hawthorn tree, lying beneath its spikey branches, gazing up through the myriad of white flowers with their dark red stamens, listening to the midges and the bees, slipping into sleep in the Springtime sun. You can read more by buying the book! Buy your paperback copy from Amazon by clicking here. Or order up the Kindle version here. A page-turning mystery tale for a bad weather day. You could read it on a sunny day, perhaps on a sun-lounger in the garden of The Watermill at Posara, our hero’s birthplace. If you come on one of our famous painting holidays of creative writing courses and bring a copy of the book, I’ll gladly sign it for you. One of the (many) exciting things about writing a novel set in early 15th Century Italy is the reference material. I don’t just mean all the words written about the period, but the wonderful pictures that one can use to describe contemporary scenes. 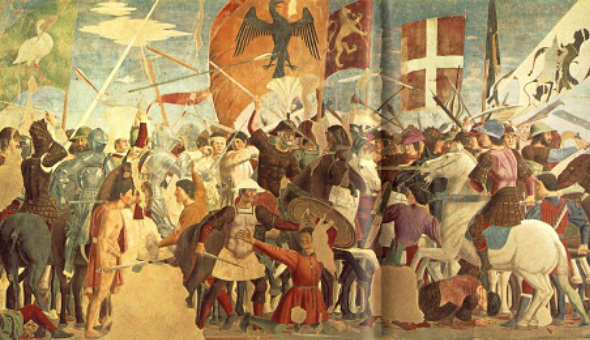 For example, here’s a battle scene by Piero della Francesca. Just what I needed when one of my characters, a muscular priest by the name of Don Antonio, visits the camp of the condottiere Carlo Malatesta. I particularly liked the grey-bearded man in the centre of the picture, who appears as Don Antonio rides through Malatesta’s camp: “Don Antonio was struck at first by the noise: the pounding of the hammers of the armourers, the clash of steel as men-at-arms practised their sword-fighting, the barked commands of sergeants and the dull, thunderous thuds of horses’ hooves as mounted lancers rehearsed their manoeuvres. "The sights were impressive, too: a dozen knights, some in full armour were tilting at a quintain, laughing at the efforts of their comrades. One fine older man, grey-bearded and wearing a wide-brimmed brown leather hat with a splay of white feathers on its crown, was cantering around on a chestnut horse, waving his long spear. I am not sure whether I would be more frightened being on his side than opposing him, thought Don Antonio. "There were foot soldiers, too, some wearing cuirasses, others simply in skirted tunics and hose of a variety of colours, a stunning mauve, maroon and mustard among them. They fought each other with short swords and varying degrees of enthusiasm, fending off the blows with rounded shields."